Volkswagen SA (VWSA) has launched a subsidiary company in Rwanda to build cars and provide the country with transport services such as car-sharing and Uber-style ride-hailing. MD Thomas Schaefer said on Thursday the new company, Volkswagen Mobility Solutions Rwanda, would begin operations in the second quarter of 2018. The first cars, reassembled from imported kits, could be ready in April. The company, wholly owned by VWSA, was registered this week. The production facility, in the capital Kigali, will have an initial annual capacity of 5,000 units. The first vehicles will be the Polo Hatchback and Jetta Sedan and possibly the Teramont, a large sports utility vehicle. The Polo is built at VWSA's Uitenhage assembly plant near Port Elizabeth. The latest version is due to be launched in SA next week. Vehicle production and retailing in Rwanda are likely to be managed by a French company, CFAO, which already performs the same duties in Kenya, where VWSA has a small operation building Polo Vivos. Rwanda, however, is the first country where VWSA, which is responsible for all its German parent's sub-Saharan African activities, is offering a portfolio of what is often referred to as "mobility solutions". Planned services will include community car-sharing, public car-sharing, shuttle services and ride-hailing. A Rwandan software development start-up, Awesomity Lab, will develop mobility apps. VWSA has been talking to the Rwandan Development Board about the concept since 2016. The integrated mobility concept will be a first for the VW group anywhere in the world. Reasons for selecting Rwanda, said Schaefer, included its political stability, low levels of corruption, economic growth, government support and its desire to make Kigali a "smart city". 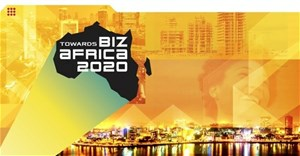 Development Board CEO Clare Akamanzi said: "Our country is determined to become the leading innovator in Africa. This project is in line with Rwanda's policies to protect the environment, create jobs, and reduce the country's trade deficit." VWSA's initial Rwandan investment would be about $20m, said Schaefer. With the Kenyan operation up and running, and now Rwanda about to get underway, the firm is investigating possibilities in other African countries. Schaefer has stated previously that he favours a number of regional hubs which, though small in isolation, would add up to a significant production total.